One of the biggest issues facing the fashion industry today is the huge environmental and human impacts that come with the new trend towards 'fast fashion'. Fast fashion is having significant detrimental effects on Australia and the countries that are involved in the manufacturing of textiles across the world. Scarily, most consumers are completely unaware. This is in large part due to the secrecy of the corporations that fuel a culture of such disposable trends through aggressive advertising - creating insatiable consumer demand for the newest look. 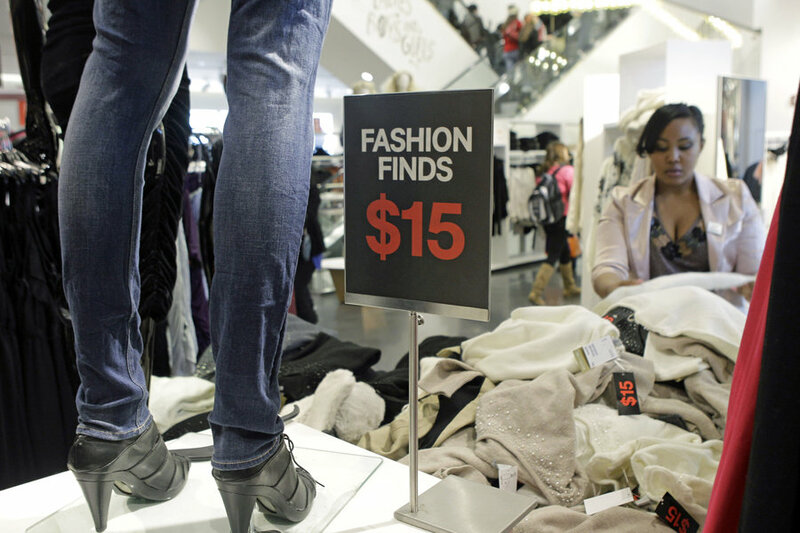 But what are the effects of fast fashion? And what are some of the alternatives that are better for our planet and the people within it? Read on to learn more about the devastating effects of fast fashion and some simple tips that we as consumers can use to help minimise our harm on the planet and its people. Today, walking into a store, what would you expect to pay for t-shirt? Five, maybe ten dollars? This is a completely different story to a decade or two ago, when it would have been rare to get a piece of clothing for so cheap in Australia. In the past, people invested in a small number of pieces that were more expensive, but of much better quality. Consumers tended to wear these investment pieces for several seasons, and repair them meticulously, ensuring they had a long life. So how is it possible that clothing prices have dropped so low, when other costs around us are rising all the time? Global Fashion powerhouses like Zara, H&M and Uniqlo have recently arrived on our shores and provide an insight into the fast fashion practices rife in the industry. Based around a philosophy of quick manufacturing for a low price, fast fashion emphasises brief, short-lived trends over classic adaptable pieces and long-lasting sustainable style. The global network of supply chains that large fashion retailers depend on, which allow production of clothing to go from the design stage to being in stores in just one week, are often run at the expense of the environment and human populations. These supply chains allow companies to quickly and cheaply provide a seemingly endless amount of disposable fashion items to countries where there is high demand for them, such as Australia. One of the most glaringly obvious impacts of fast fashion is environmental. The fashion industry is one of the smaller global industries but it is the world's second largest polluter! 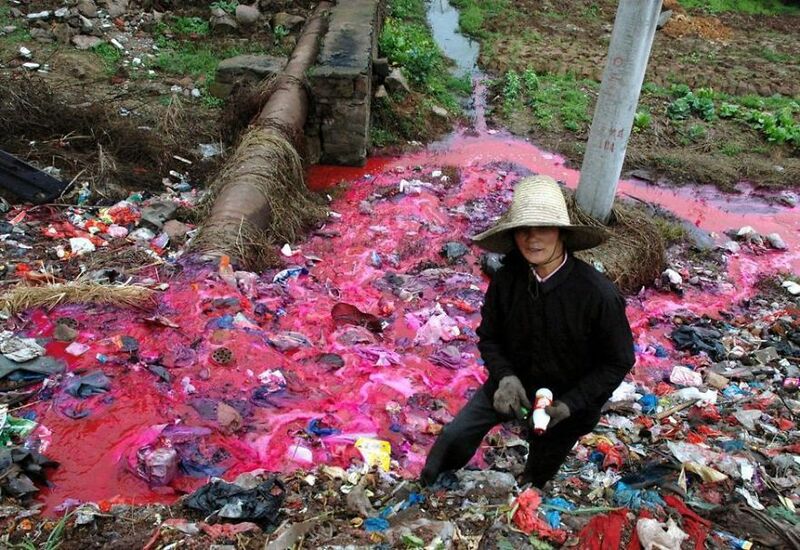 In fact, the fashion industry is second only to the oil industry in terms of the pollution that it creates. Let that sink in for a moment. This pollution is partly due to our huge overconsumption of fashion - the world now consumes a jaw-dropping 80 billion pieces of clothing per year, which is up by 400% compared to two decades ago. Low-cost, low-quality clothing means that we are buying and disposing of more clothing than ever before, and all that discarded clothing needs to go somewhere. Australia is one of the world's largest consumers of textiles per capita. We buy an average of 27kg of textiles each year and discard about 23kg. Two-thirds of that is man-made fibres that are less likely to break down over time and are often derived from petroleum. Whilst that is alarming, it also means that positive actions here in Australia can have a real impact at a global level. While we may think that donating to second hand stores solves the problem, as we're not actually throwing the clothing away ourselves, the sad truth is that only 10% of these items are sold (15% in Australia), with the rest mostly ending up in landfill. If it's not going to landfill, it's flooding markets in developing countries where clothing is purchased by the box, killing the local industry. In Australia, that means that around 500,000 tons of textiles and leather each year are destined to add to our already worrying problem with waste. Add to that the makeup of some materials that are disposed of, such as polyester (which is essentially plastic) and you have huge amounts of textile waste polluting the planet that can potentially remain in the environment, taking hundreds of years to break down! One of the most disturbing stats from a 2017 Australian study revealed that 7% of people under the age of around 40 have actually burned unwanted clothes as a way to get rid of them! The study also revealed that 24% of Australian adults have thrown away clothing after wearing it only once, and that 38% of millennials (people born after 1981) bought half their wardrobe in the past year, highlighting the trend of young people lapping up fast fashion and the throw-away culture that comes with it. The implications of our fashion use could potentially affect our children, grandchildren and beyond. 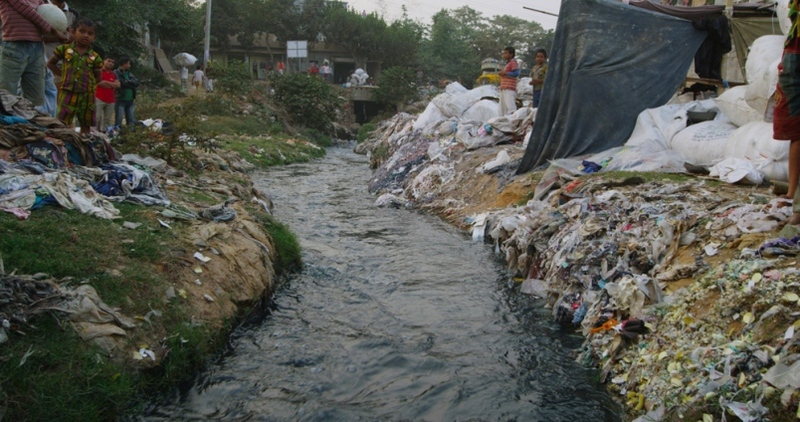 Several other international studies have revealed major pollution to rivers and streams in countries where fast fashion is manufactured. Once used as a source of water, these waterways are now filled with toxins from chemicals and dyes used heavily in denim and leather industries. In some places, the people down-stream will joke that they can tell what the next hot fashion trend will be by looking at the colour of the rivers, altered by run-off from textile manufacturers! With 1 in 6 people in the world working in the global fashion industry, it is undeniable that the lives of many people are tied to our pursuit of fashion. 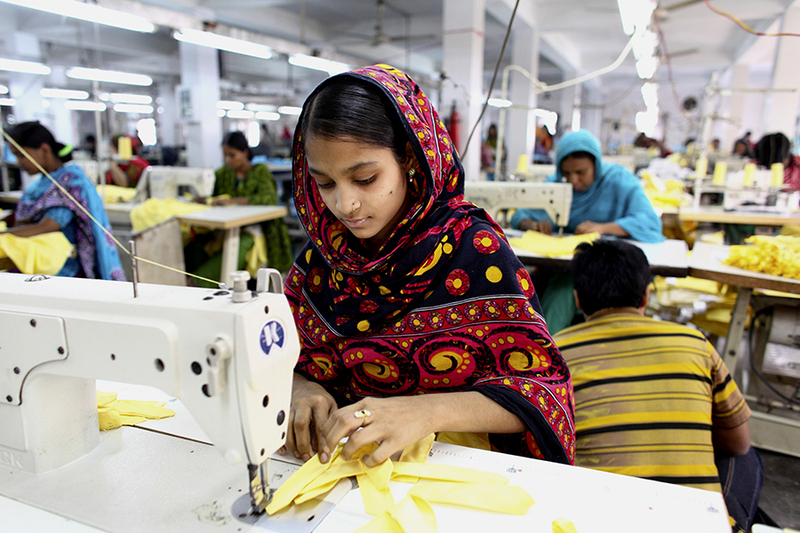 In Australia about 90% of the clothing we buy is manufactured offshore, and the majority of overseas fashion workers are women that are earning, on average, less than $3 per day. They are often working in horrible conditions with no choice to do anything else. A recent Oxfam report found that as little as 4% of the amount that we pay for our clothing in Australia actually goes to the garment workers themselves. To put that into context: for a $10 t-shirt that could take around an hour to make, workers can expect to earn 40 cents or less! 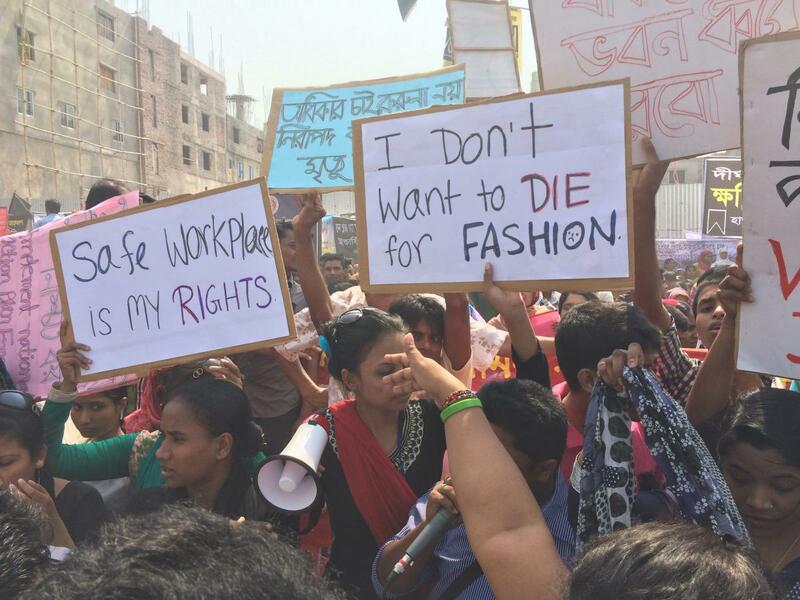 One of the most heartbreaking effects from practices of the fast fashion industry is the death and injury of thousands of workers in 3rd world countries. One of the biggest and most confronting tragedies was the Rana Plaza collapse in Bangladesh in 2014. Over 1000 people died in the horrible disaster, and although the building was known to be unsafe by factory bosses, workers were still forced to enter to work on that day. 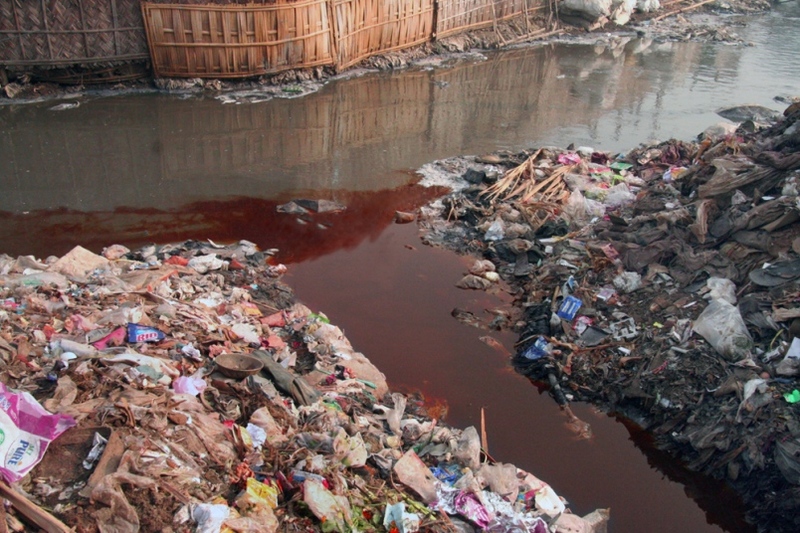 It is clear that devastating human impacts are a direct result of fast fashion practices. One of the most disturbing aspects of fast fashion is the complete lack of transparency with which major fashion retailers operate, often unwilling to admit and accept accountability for the state of the factories which produce their products and the conditions within them. By outsourcing and structuring their companies in a particular way, it is easy for these global giants of retail to say they are not responsible for manufacturing conditions. In reality, these manufacturers are at the mercy of the global retailers and need them to survive. Improved conditions means increased costs and this is not something global retailers are prepared to accept very often. 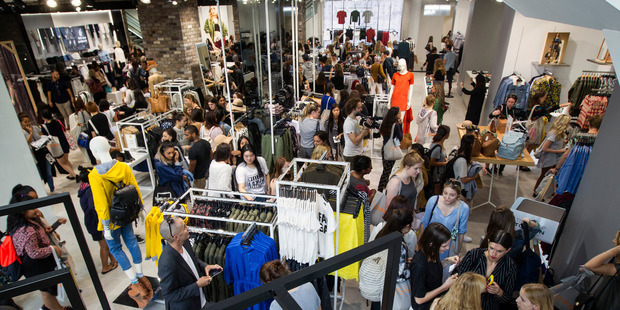 Fast fashion is booming and demand shows no sign of slowing down - which is where you come in! The good news is that there are lots of easy ways in which you, the consumer, can take action to help to address this problem. Renting clothes is an amazing way to do your bit to negate the effects of fast fashion and live more sustainably. By using the services of online rental companies, not only do you have access to stunning timeless styles created ethically by a range of designers, but you also avoid the risk of only wearing a piece once. 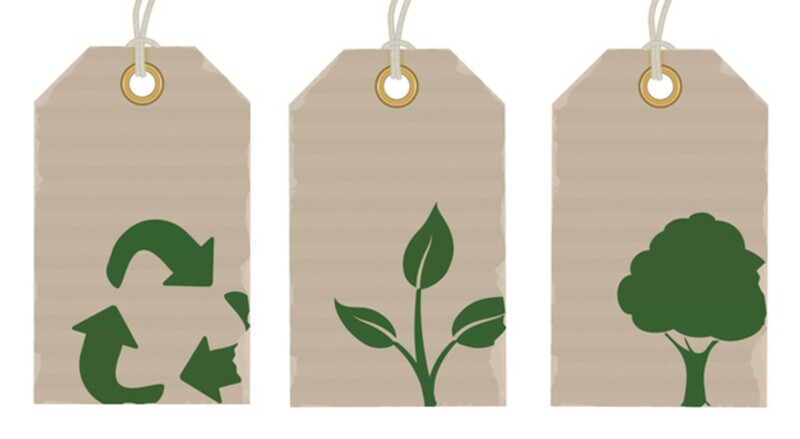 Renting clothing is an environmentally and budget conscious way to get the look you want, while caring for the planet. For those on a budget, you have the option of either spending $80 on a cheap dress from a fast-fashion	retailer, knowing that you might only get 1 or 2 wears out of it before throwing it away, or for the same price, you can hire a designer piece worth $500, that is more likely to have been	produced ethically and that others around the country will continue to enjoy well after	your event has been and gone. All The Dresses is your gateway into the clothing rental world, collating all the great designer pieces from around 20 of Australia's biggest and best dress and clothing hire companies. Often it is way too easy to get caught up in the buzz of consuming fashion, and chasing the newest trend becomes almost addictive. Rather than putting your hard earned dollars into consuming fast fashion, try being mindful about what you buy and whether you really need to buy that new dress style that may only be hot for a month (ahem, high-low dresses we're looking at you). If there's an item you've been lusting after try using websites like All The Dresses to see if you can rent it instead. How many times have you bought something that is 'bargain' only to have it sit your wardrobe, tags intact until you finally admitted it was time to say goodbye? Making sure that you give yourself a cooling off period when shopping is important to ensure you are not duped by the tricks that retail fashion stores often play on shoppers. Consider renting items you love instead of buying them cheaply on sale. This adds serious sustainability points to your wardrobe and even better, you will never feel guilty about neglecting to wear something brand new again! A key way to help ensure that you are not tempted to purchase disposable fashion is to keep your wardrobe is stocked with adaptable, well-cut basics. These are the key to keeping all your fashion bases covered, and quenching that impulse to buy something on the spur of the moment which you might only wear once or twice. If you're looking for a statement piece, check out All The Dresses which has unique rentable looks from all your favourite designers, minimising your environmental footprint, but also making sure you have a knockout look up your sleeve for special occasions! We hope that the info on this page has helped open your eyes on some of the hidden issues behind the fashion we love and desire. We hope that through education, more and more Australians make changes to the way they consume fashion, leading to an overall improvement in environmental effects and human conditions. Renting our fashion is just one way to ensure that less of our consumption ends up in landfill, and this is a major reason that All The Dresses is such a strong supporter of the concept of clothing hire.